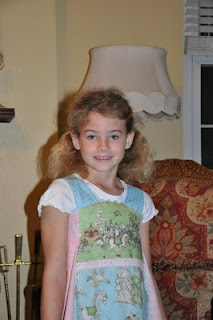 I followed along with the sew along and this is my creation, modeled by Zoe. I didn't add the trims or machine embroidery because I was trying to follow the instructions and get those half way right. So, it's pretty plain compared to others. You can see Lot's of different feliz's, in the gallery at everythingsewing Just click on gallery, then the general sewing section. Some really cute ones there. Those, will give you an idea on how to sew your next feliz. Linda is such a super sewer, just look at the beautiful feliz. What an inspiration to me. 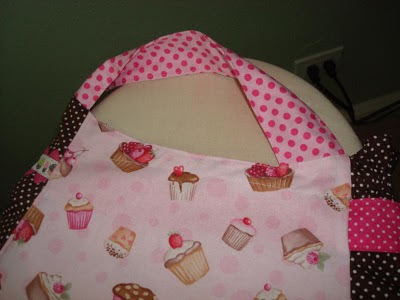 I also thank Linda for doing this sew along. You will notice the feliz is single layered, which is a lot lighter then doing the double one, the double one is also very cute, just nice to have another option. We should be able to finish the dress today. 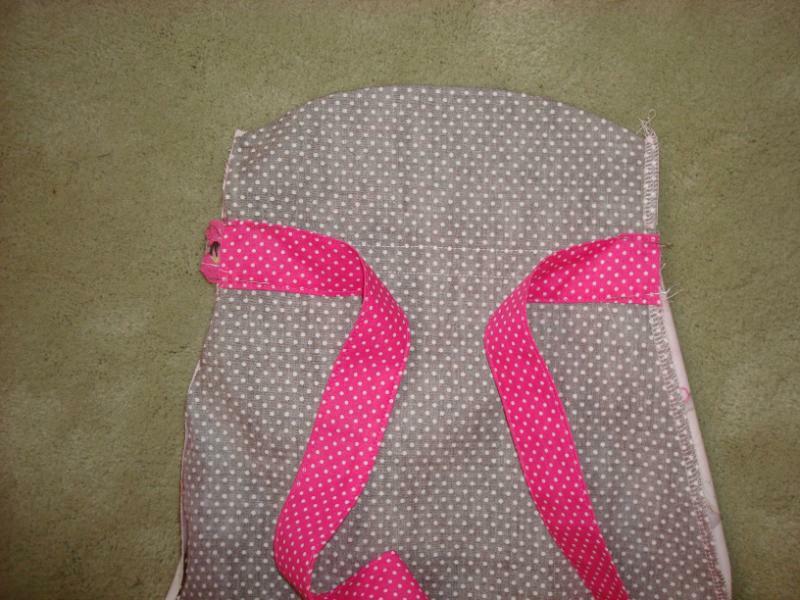 In this picture you can see that I've turned the facing and pressed the seams. 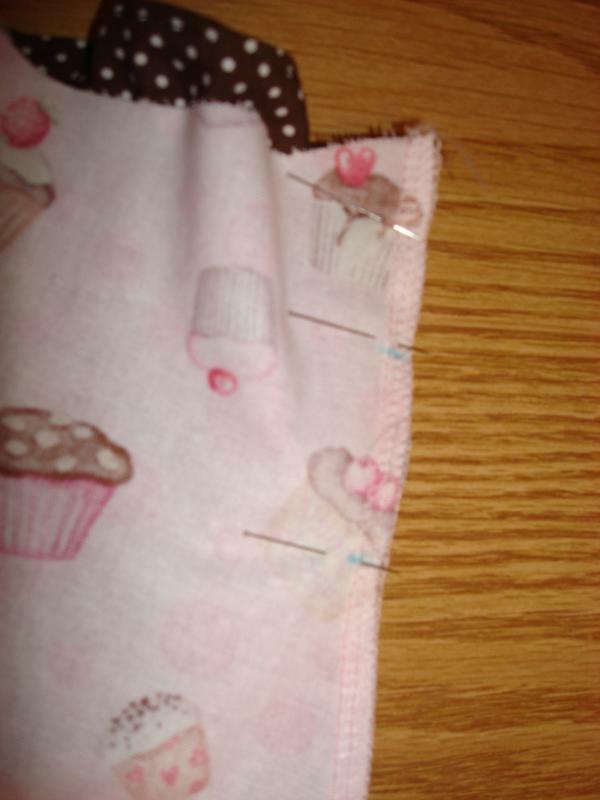 In this next picture I turned in the raw edge of my facings and pinned so they are ready to slip stitch. Be careful that you don't catch the sash in your stitches. 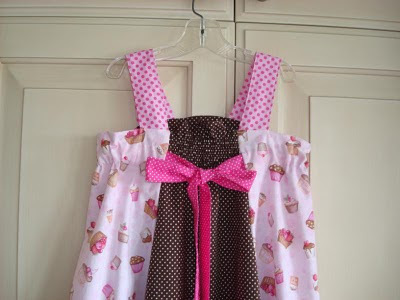 Now you are finished with the hardest part of the dress and you can tie your sashes. sashes through. The markings are on the dress side pattern piece. 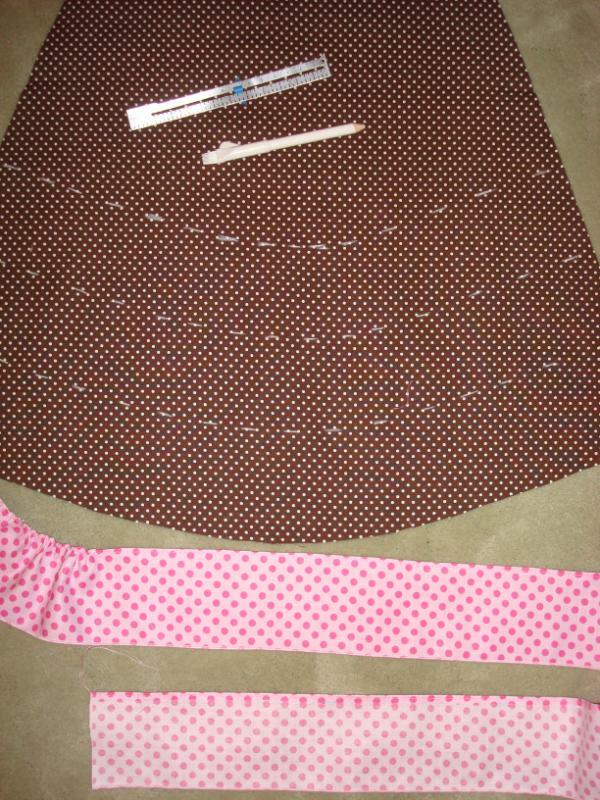 Last thing for today is to sew the facing to the top of the dress. Here are the sashes and straps sewn. We will need to turn them inside out and press them and then top stitch all pieces. Yes, I cheated and made my straps one piece. If you look at the picture you can see how I taped the strap pieces together matching the markings. 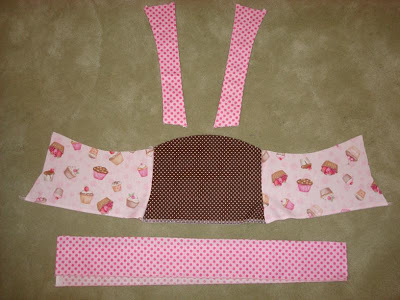 I'm putting 3 ruffles on the back and cut them 3 inches wide and the width of the fabric. I will cut them off later when I see how long I need them. Each ruffle will be a different length. 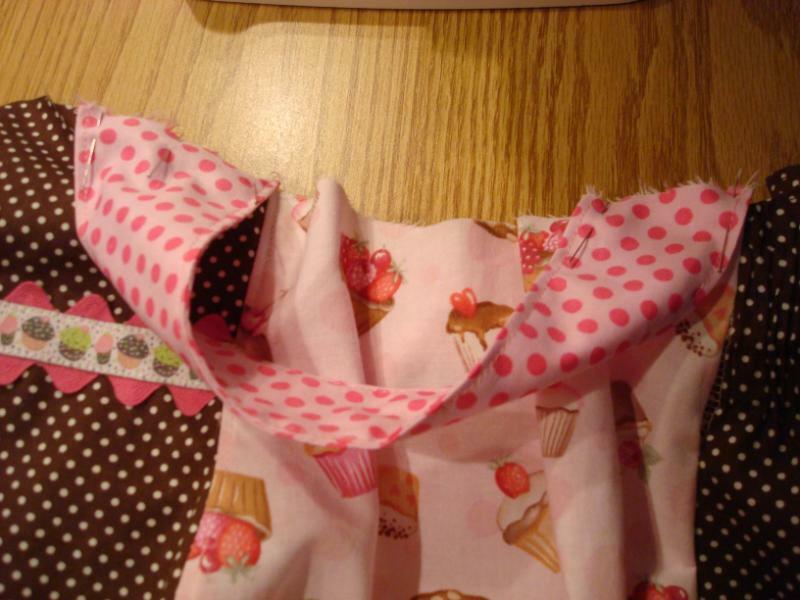 You can make your ruffles as wide as you like and also as many rows as you desire. It looks beautiful with 5 rows or more down the back. 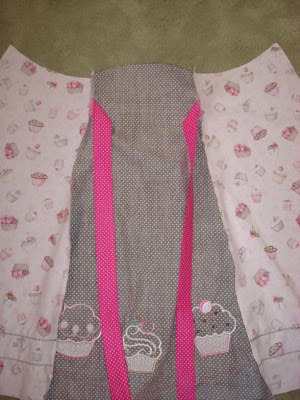 I have turned my straps and sashes and pressed and top stitched. 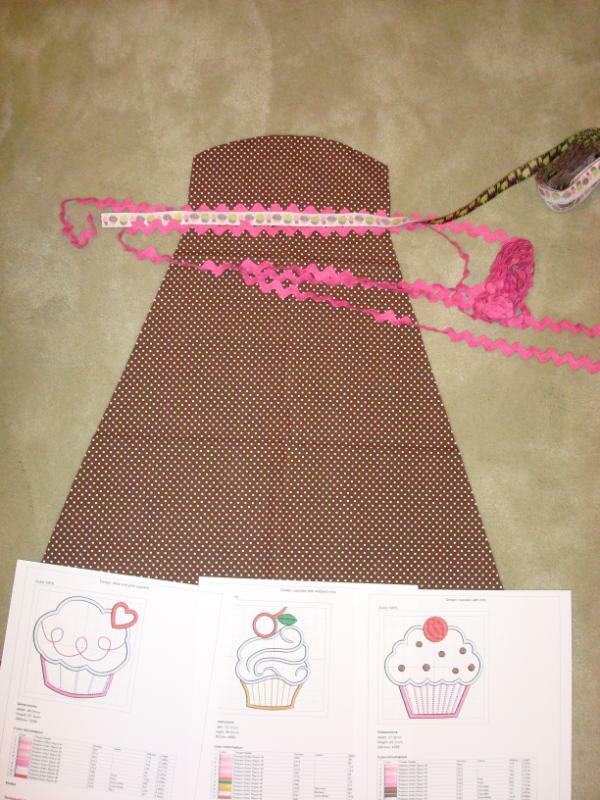 Now their ready for when I sew the dress together. 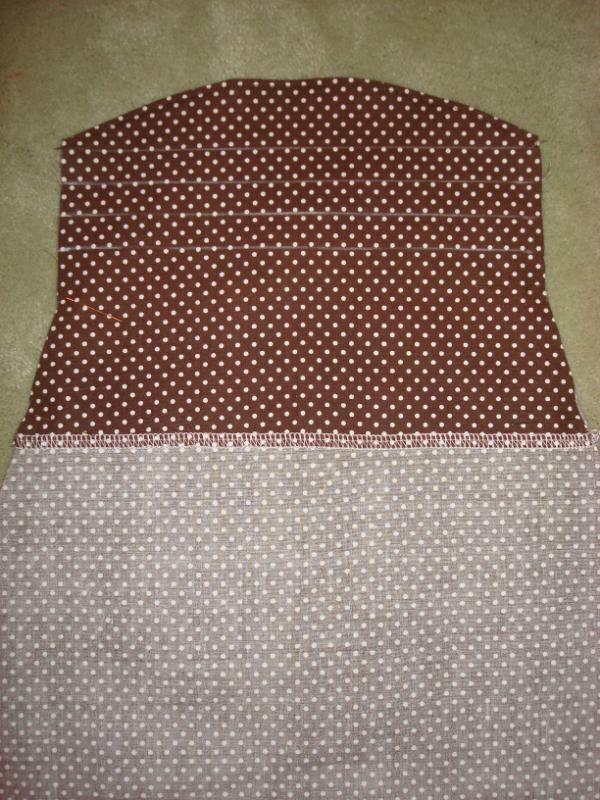 I also stitched the 3 facings together and finished the bottom edge. 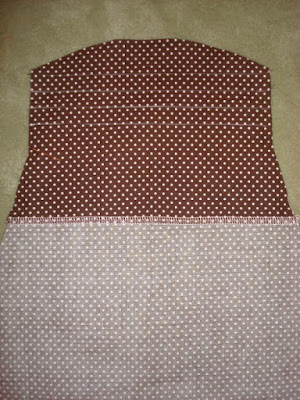 This afternoon I've been sewing on the next step of the dress. 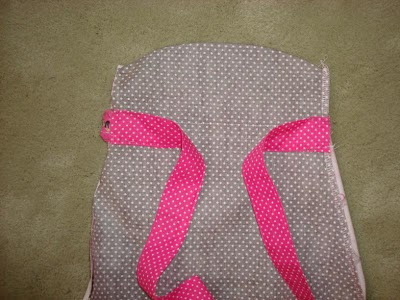 Here I have sewn the facing to the back and finished the bottom edge. I also turned and pressed the facing and top stitched it. 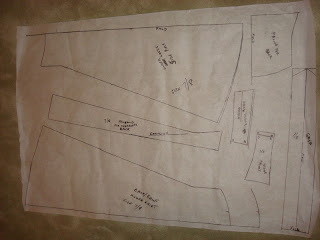 Then I drew lines for 3 casings for the 3/8" elastic I will use. I made the casings 5/8" wide. I will now sew the casings. 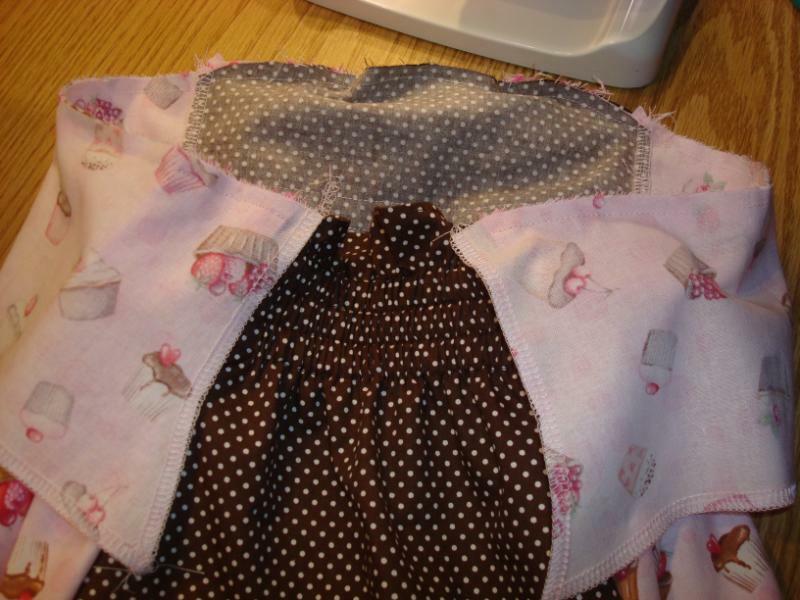 The next step will be to put the ruffles on the dress back if you are going to use them. I have already finished the hem of my ruffles with a rolled hem but you can also do a narrow hem if you don't have a serger. The 3 facings are sewn together and then hemmed but that is as far as we go at this point. Nothing else was done to the facings. 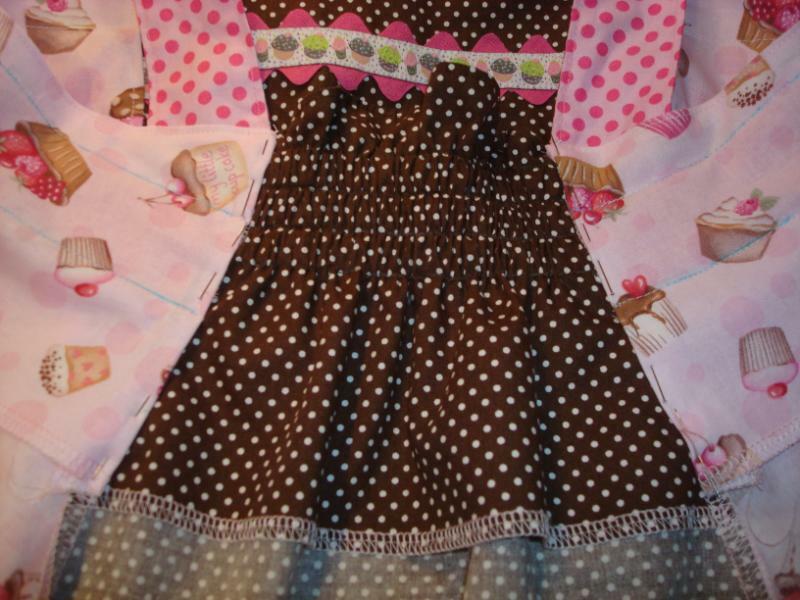 see the top stitching on the brown fabric. For the ruffles you will cut as many widths of fabric as you will need. The higher ruffles on the back will not need as much fabric. You may get by with just 4 strips of fabric. This dress is a lot of guessing on the part of the sewer. The ruffles can be very full or not, it all depends on how you like them to look. 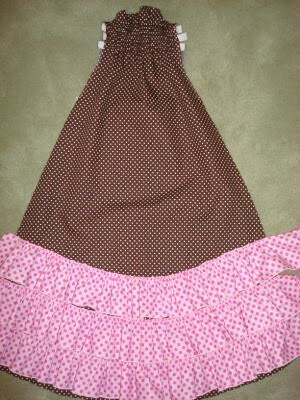 Now I have sewn the sashes to the front of the dress. 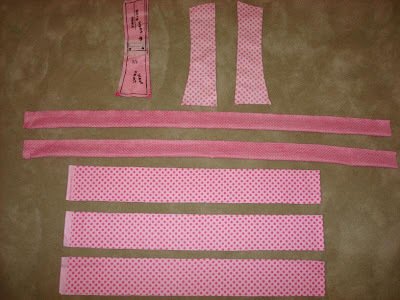 If you notice there are markings for the sash on the side pattern piece and I used these markings to place my sashes. 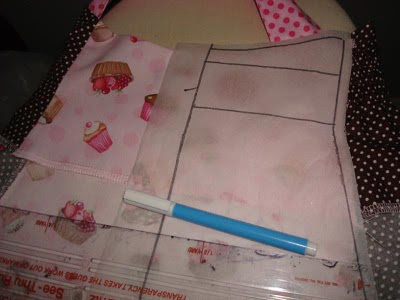 We will have a small break from lesson's so I can show Shirley the fabric I am using. I really think Shirley is just checking up on me to see if I am doing the sew along. I am trying to follow instructions but, things are turning out different for me. I am also taking note's so I know what to do different on my next Feliz. The front, as of today's lesson. The back, with ruffles. 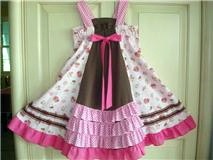 I will do the ruffles different on the next dress and will use the serger to finish the ruffles. I did a hem and think it added to much weight. I could also use the rolled hem foot, so will test and see what effect I like. 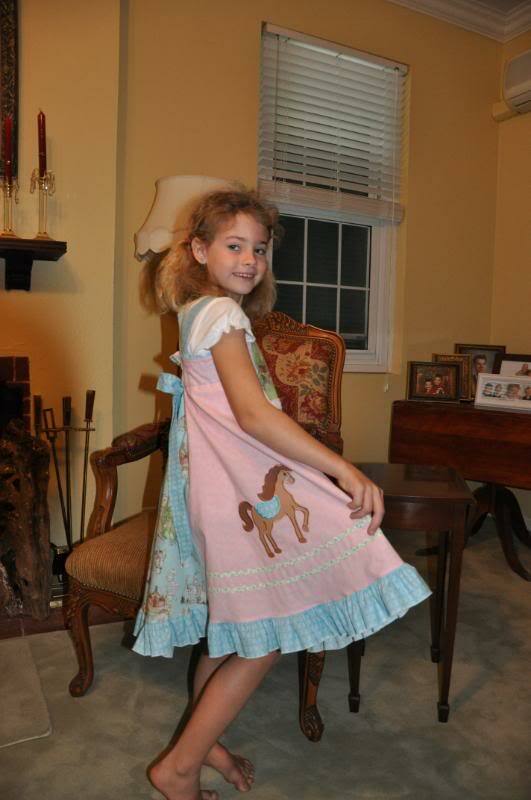 1.Today you will need to do any embroidery that you plan to put on the dress. 2. 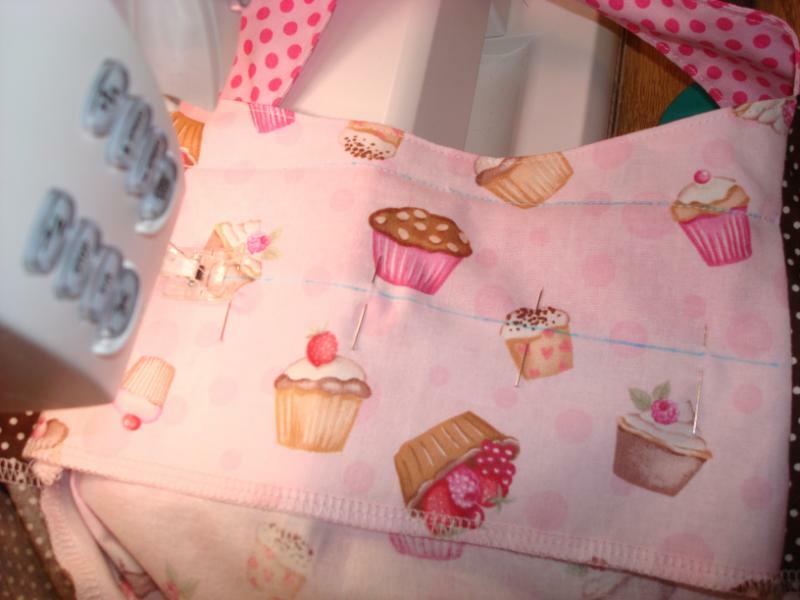 Trims can also be added at this time as you want them to be incorporated into the seams of the dress. The front of my dress. You can add designs, trims, lace or rick rack to make your dress one of a kind. The side of my dress. It can also be embellished. As this will take some time to do it may take up 2 days to get done. Hello ladies! I hope you're all ready to cut out your Feliz dresses today. 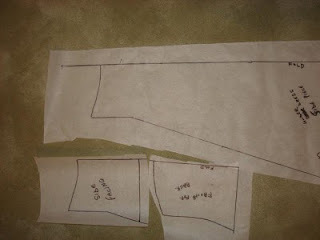 1.I traced the pattern pieces but didn't add my seams as I do that as I cut. You can add them to your traced patterns if you so desire. 3. Now we are ready to cut out the dress. 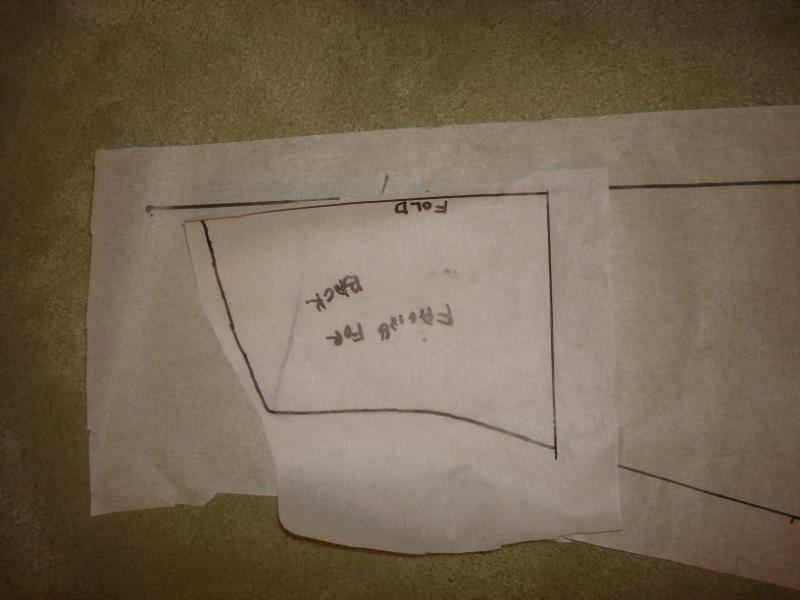 Cut 2 of the front/back pattern piece. Cut 2 of the side dress piece. 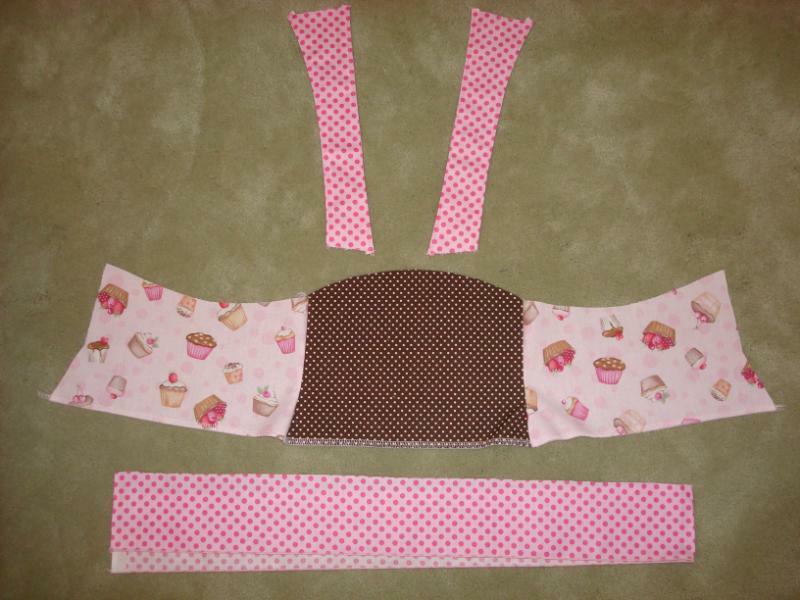 Cut 2 of each facing, that is 2 of the front/back facing and 2 of the side facing. Cut 4 of each shoulder strap. Please ignore the long back facing piece as I traced it by mistake. You don't need that piece as we are doing the single layer. I hope you can see how I made the side facing pattern. Now you should be ready to cut and we'll continue tomorrow with the next step. 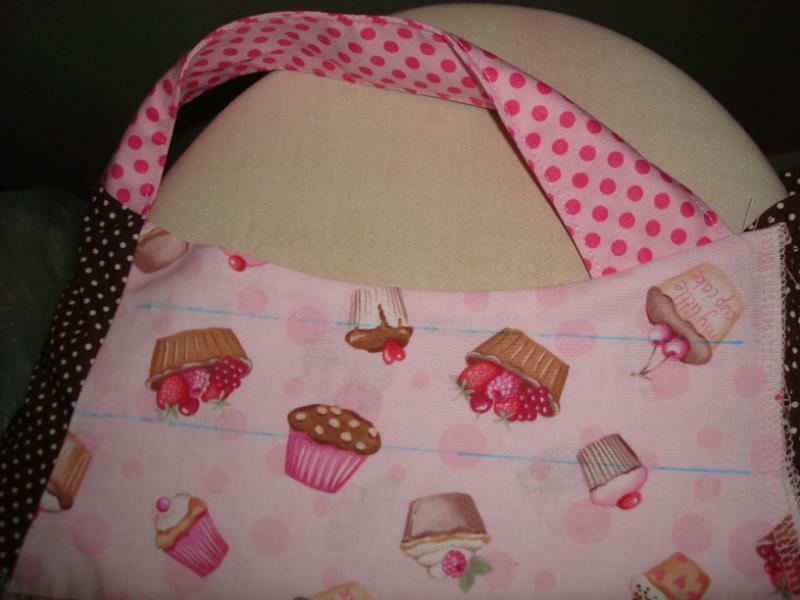 Linda S from Bermuda will be leading us with our Feliz sew along. 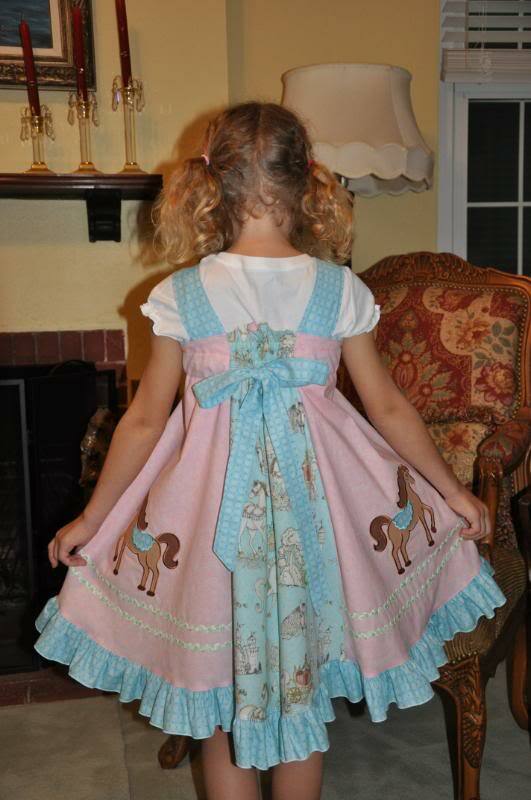 This pattern is available in the book, Sewing clothes Kids love. 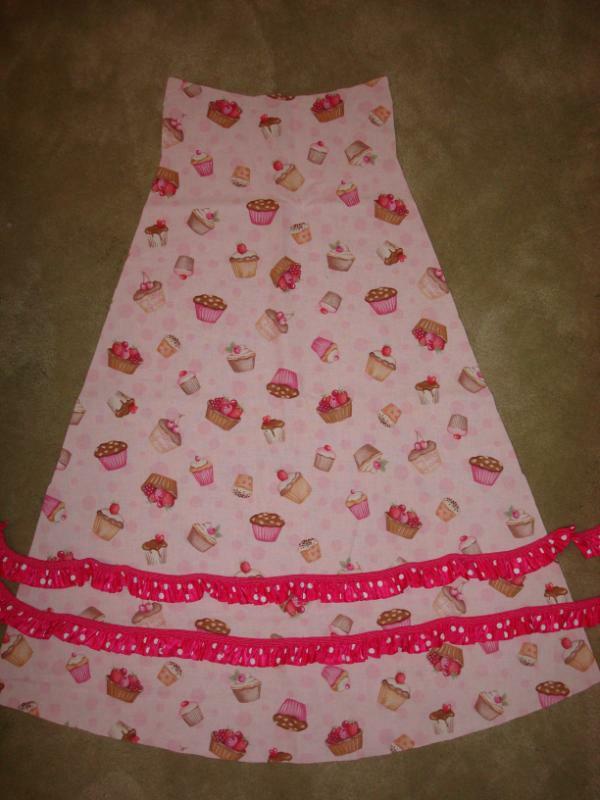 This version, is a single layer, the dress featured in the book is a double layered Feliz. So this way of sewing the dress together is different from other versions you might have seen else where. The pictures posted here is the single layered version sewn by Linda S, for her granddaughter. Linda, mixed three prints together, plus some machine embroidery. 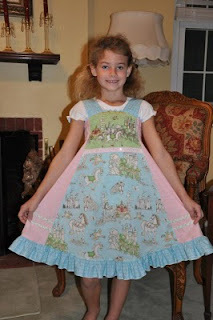 I hope you join us in our sew along and sew your own version of the Feliz. 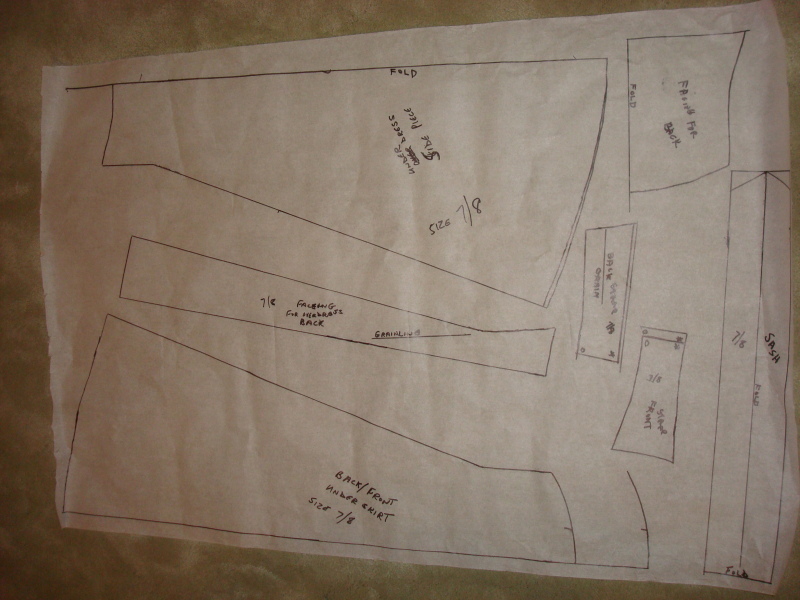 The instruction for the dress will be posted here and on the Everythingsewing forum. The word Feliz, means happy, so I hope this will make you happy as you sew along with us. 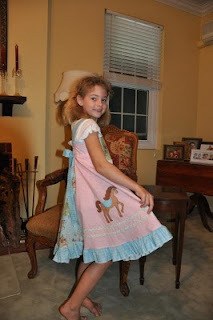 For sure your daughter or grandaughter will be very happy as she shows off her new dress. When I saw this fantastic skirt and jacket set sewn by my friend Karen P, I just knew I had to share it with you. The jacket Avalon and the skirt Insa are sewn with patterns from the book Sewing clothes kids love. Karen, loves to travel and on their last adventure, which was a 2 1/2 month trip from west coast to east coast and even a trip to Canada, she shopped along the way putting together the perfect combination of fabrics and trims. You can tell by the perfection of this outfit that a lot of thought went into putting it all together. The beautiful pictures were taken by Linda Pelk of Linda Pelk photography. I don't think there is much I can add, just sit back and enjoy this living doll. 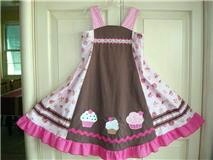 Except to add this is on my list to sew. I only hope mine turns out as fantastic as this set did. Just have to spread the word about this fantastic give away. Of coarse I hope to win!! Remember I told you about the Dancer pattern? Well the designer of that pattern is having a give away to celebrate 100 post's. this is my 101 post but my give away will come at 125!! so run over and see what will be given away, I tell you it's fantastic. I will do my best to play along. This is so new to me and I have not been on the blog planet for awhile so here goes. 1. Why did you start blogging? I started because I wanted to better expand my sewing world. 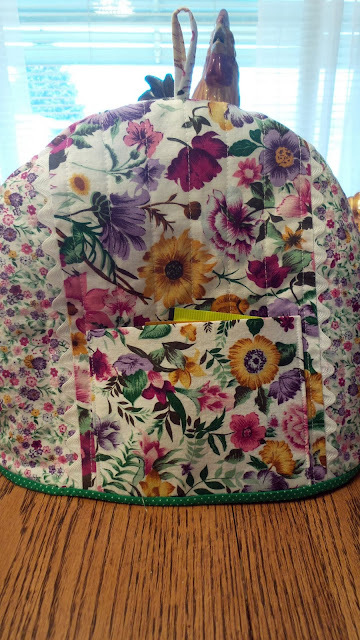 To show more of what my friends are sewing and to share new things I learn. 2.If you could travel anywhere in the world with no restrictions of cost, where would it be and why? I would travel down south, I would meet all my sewing friends in person and spend time learning and laughing with them. 3.Did you have a teacher in school that had a great influence on your life, If so what. Yes, Mrs. Stikie-- when I was in high school I lost my mother, actually she was my aunt but had been my mother since I was three. Being a teen-ager I was mad at the world and tried to take that anger out on anything or anyone that came close to me. Mrs.Stikie, took me as her project and helped me deal with my hurt. I will be forever grateful to her. 4.If you could spend the day with a famous person who would it be, and what would you do? Now, you probably think it would be a great seamstress but, I would love to spend the day with Paula Dean, and have her teach me to sew and also how to laugh like she does. 5.Toilet paper-over or under? Over, I hate rolling off paper in the middle of the night and not being able to find the end. 6.Name one thing in your life that you would do over if possible. I can't think of any right off, I love living with no regrets. 7.Tell about your pets-if any-- That would be Lulu and Joker my two little dogs. All I can say about them is they sleep a lot and Lulu has to fill the back yard with her toy's. 8.Do you live in a small town or a Large town-- I live in a small town, with not enough fabric stores! 1.If you could live anywhere, where would you live? 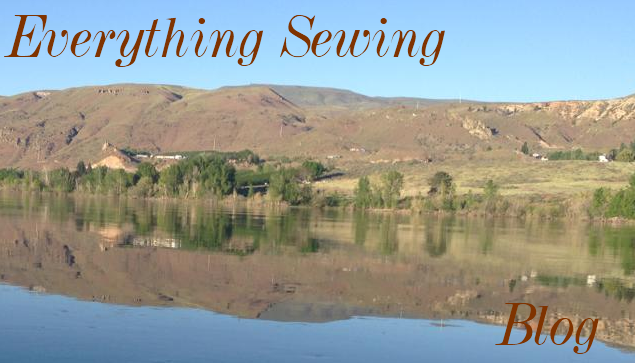 2.What is your favorite item to sew? 3.Do you prefer to make your Christmas gifts or buy them? 5.What is the biggest fear in your life, that you have over come? 6.What is your favorite thing to do with your family? 7.What is your favorite holiday? I know that is not 8, but it's the best I can do right now.